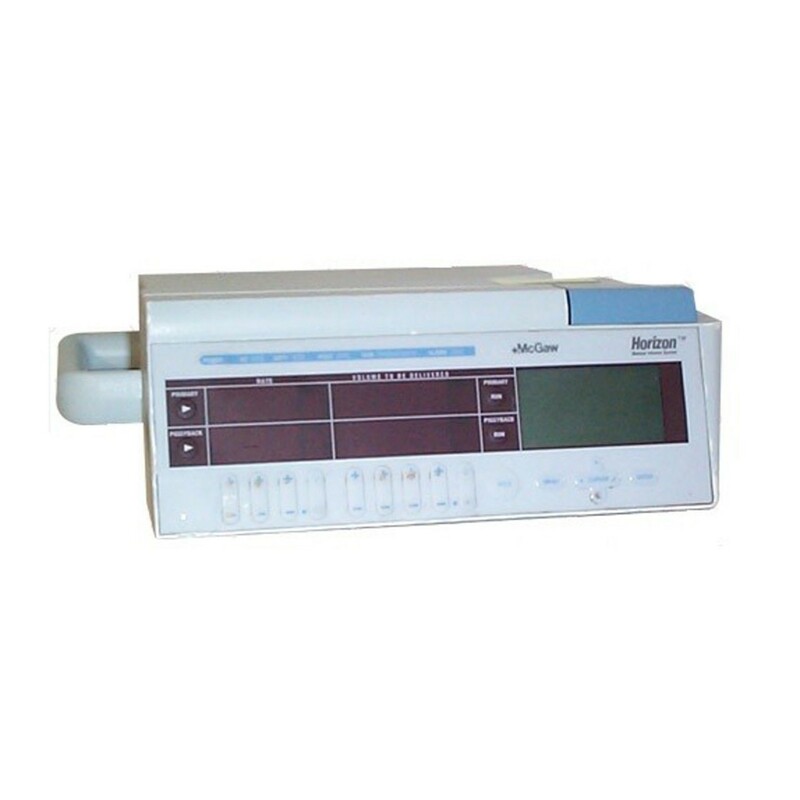 Buy or rent pre-owned, recertified Bbraun Horizon NXT Infusion Pump you need today. All pre-owned medical equipment is patient ready equipment and is covered by an OEM matched warranty. 12 Volt sealed lead-acid battery for ambulatory use. Run time is dependent on the state of battery charge and rate of fluid delivery. 75, 100, 200, 300, 400, 500, and 750 mmHg Standard mode default is 300 mmHg. 3 mL/hr for prescribed delivery rates of 3 to 999.9 mL/hr, or the continuation of the prescribed delivery rate for 0.1 to 2.9 mL/hr settings. Permanent data retention after pump is turned off, unless battery is depleted or disconnected, or unless Data Retention Defaults have been otherwise selected in Biomed Options.